The homepage of the relaunched Addepar website. Following my time at 2Checkout, Silicon Valley startup Addepar recruited me to rebrand/rewrite their consumer-facing materials. 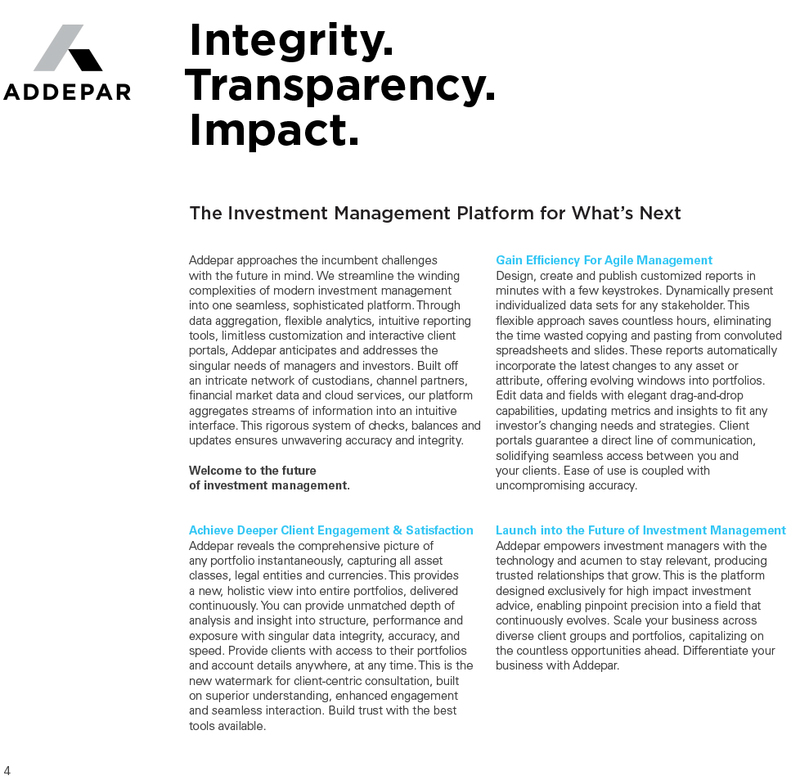 Addepar is a reporting platform designed for analyzing complex portfolios. If a client owns a thoroughbred racing horse, a Paul Gauguin painting, and a sprawling stock portfolio, Addepar can take all of those inputs, streamline various metrics, and produce a sum total that updates in real time. More than a tool for assessing value, Addepar also demystifies the sources of income and their journeys, offering a transparent overview that can expose illegal and unethical processes. Over the course of six months, I researched, rebranded, rewrote, and helped redesign a website relaunch, print promotional materials, and customer success stories. Select examples below.